Armoured Combat Vehicles (ACVs) have been given considerable attention by armies in the Asia-Pacific over the last few years. Major efforts have been taken, or are underway to develop and acquire such platforms and to modernise and upgrade existing fleets. These efforts intended to replace ageing vehicles with newer platforms, gaining the improved capabilities and reliability provided by new technologies, while enhancing vehicle and troop survivability against ever more challenging threats. The proliferation of such projects is a clear indication that the ACV not only is increasingly viewed as indispensable for future tactics and operations. Some of largest armoured vehicle acquisitions are occurring in Australia as part of its Land 400 modernization. These cover virtually every class of ACV. In the ‘light’ category, the Thales Hawkei Protected Mobility Vehicle–Light (PMVL) four-wheel drive platform is scheduled to enter low rate initial production in mid-2017. 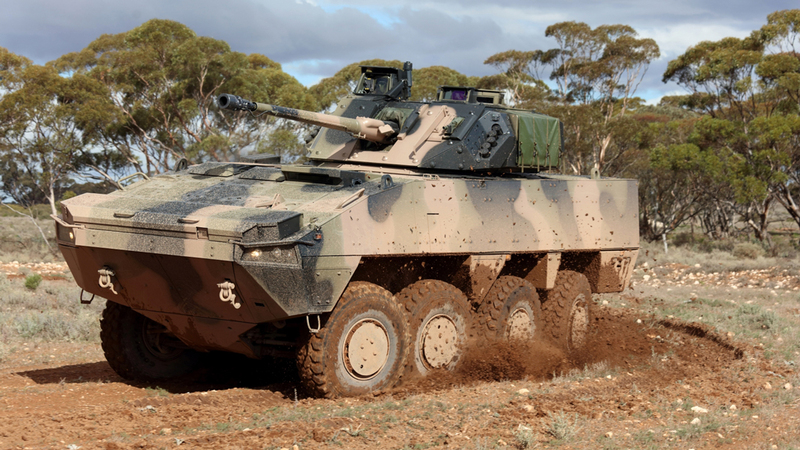 Under an October 2015 contract Thales’ Australian subsidiary is to deliver 1100 Hawkeis in two variants; a two-door single extended cab and four-door dual cab. The vehicle is intended for command, liaison, utility and reconnaissance roles, with an Initial Operational Capability (IOC) planned for 2019. Meanwhile, the Australian Army’s General Dynamics ASLAV eight-wheel drive light armoured vehicle and United Defence/BAE Systems tracked M-113AS3/4 armoured personnel carriers have been in service for 30 years providing reconnaissance and mechanised infantry support. Despite a number of successful upgrades they are reaching the end of their lives. Another part of the army’s modernisation is acquiring new vehicles to replace both. These two programmes have a value of $14 billion and are the largest procurements ever embarked upon by the Australian Army. The Combat Reconnaissance Vehicle (CRV) initial competitor selection occurred in July 2016 with BAE Systems’ AMV-35 and Rheinmetall’s Boxer selected for the risk mitigation activity phase. The AMV-35 is an eight-wheel drive vehicle that combines Patria’s Armoured Modular Vehicle and the BAE Systems’ E-35 turret with Orbital ATK’s Mk.44 Bushmaster-II 35mm cannon. The Boxer is also an eight-wheel drive platform and, though originally offered with a 30mm cannon in a manned Lance turret, this can be upgraded to a 35mm weapon. The 30mm is that used on the Krauss-Maffei Wegmann/Rheinmetall Puma tracked Infantry Fighting Vehicle. Protection is emphasized in the CRV programme with advanced protection systems being offered with each design. The candidate vehicles will undergo twelve months of testing with one then being selected for production. The CRV requirement is for 250 systems with an IOC set for 2022. Another Australian requirement is for the Mounted Close Combat IFV to replace the M-113AS3/4 with a true fighting system. It will be employed with the force’s General Dynamics M1A1 Abrams main battle tank and is required to have equal mobility, carry eight dismounts and be able to defeat similar IFVs. 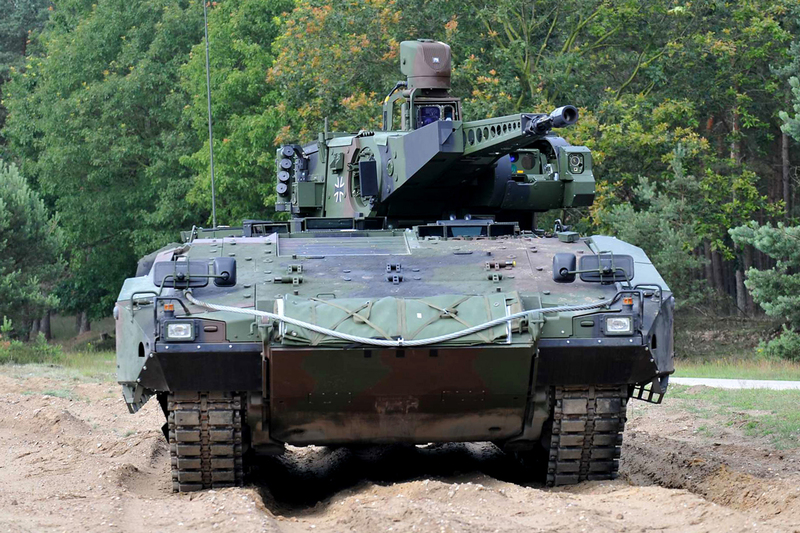 Potential candidates include the Puma with the Lance 35mm unmanned turret, the offered by PSM (a joint venture between Krauss Maffei-Wegmann and Rheinmetall), the General Dynamics’ Ajax tracked Armoured Fighting Vehicle (AFV) equipped with the Kongsberg MCT- 30 unmanned turret, Rheinmetall’s Lynx tracked AFV equipped with a 35mm turret and the widely fielded BAE Systems’ CV-9035 tracked IFV, also with a 35mm turret. There are opportunities for linkage between the IFV and CRV that could be attractive to the Army. The possibility of common turrets already exists with both the AMV-35 and the CV-9035 using the same design. Phase Three of the programme has a planned requirement for 450 vehicles. Of these 312 would be outfitted with a turret in an IFV configuration. Should a candidate vehicle be able to carry eight soldiers the total could be reduced to circa 350 to 375 resulting in substantial savings, The IOC for the IFV is planned to be between 2024 and 2025. 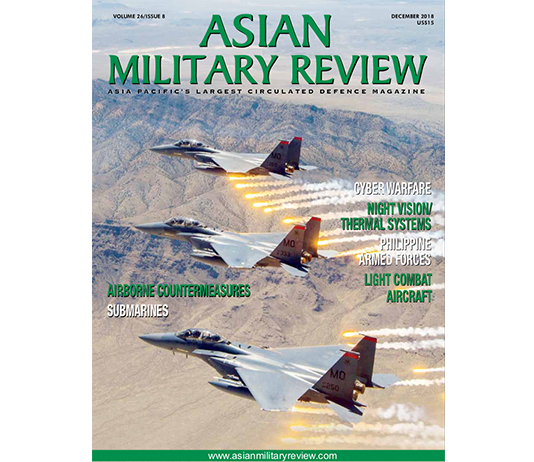 Away from Australia, the Japanese Ground Self Defence Force is adapting its structure and equipment to a new defence strategy with an emphasis on manoeuvre and active response to intrusions around the archipelago. This includes the development of wheeled ACVs with the ability to move rapidly long distances and to be deployed by sea or air to counter threats and oppose landings. The first of these new platforms was the Mitsubishi Type-16 Manoeuvre Combat Vehicle, an eight-wheel drive design with a 105mm gun which first entered service in 2016. It has now been followed by the next-generation Armoured Personnel Carrier (APC). Prototypes were delivered in January 2017 to the JGSDF for testing. Developed by Komatsu it is intended to replace and/or supplement the Komatsu Type-96 APC that has been in service since 1996. 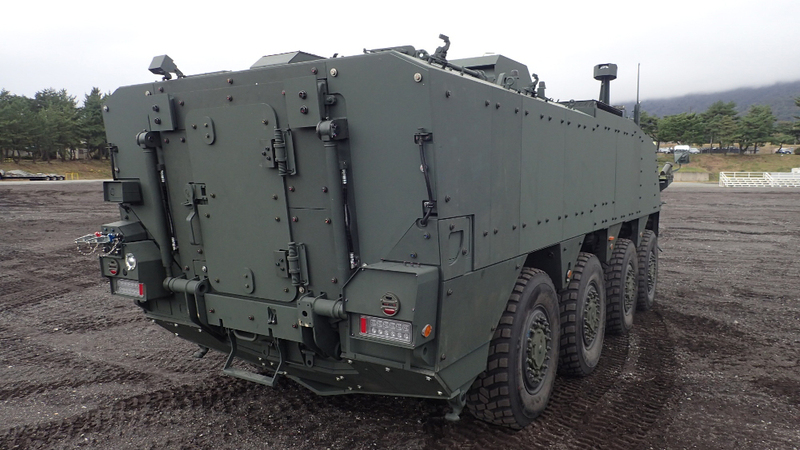 This new platform, called the Wheeled Armoured Vehicle Improved, is provided with improved protection including V-shaped hull to defeat mines and improvised explosive devices and high levels of ballistic protection. It has better mobility compared to its predecessors due to the central engine combined with an eight wheel, fully adjustable hydro-pneumatic suspension, and central tire inflation system. The modular design provides the capability to change the rear compartment to various mission roles from carrying an eight soldier infantry section, to command and control or medical evacuation, for example. This approach is similar to that utilised by the Boxer (see above). It is expected that this new vehicle will be armed with a 12.7mm remote weapons station which is understood to be in development. The move to wheeled ACVs is in concert with the idea that combat units may be required to rapidly move long distances to react. Testing is projected to continue into 2019 when production could begin. The JGSDF is also acquiring 30 BAE Systems AAV-7 family tracked amphibious assault vehicles. A total of 52 vehicles are planned with the possibility of some being produced in Japan. A company spokesperson indicated that discussions regarding the acquisition are being conducted by all parties including US Department of the Navy, given that the US Marine Corps also operates this platform. This fielding is another piece of Japan’s new defence strategy. It will provide the capability to conduct ship-to-shore operations from amphibious ships to retake island territories. Singapore, meanwhile, has issued a contract for the Next-Generation AFV for the Singapore Armed Forces (SAF) with a contract being awarded to this end to ST Kinetics in March. Designed to replace the current M-113A2 platforms, the new vehicle was first unveiled in June 2016. A Singapore ministry of defence spokesperson indicated that the new vehicle: “provides improved firepower, protection, mobility, and situational awareness to meet current and future challenges (for the Singapore armed forces).” The new AFV has a crew of three and carries eight dismounts. It uses a remote-controlled turret with a 30mm cannon and a 7.62mm machine gun. 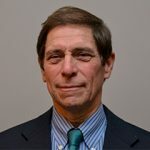 A major new capability is provided by the attention given to both improving the sensor suite and to distributing data and communications within the vehicle. The commander and gunner are positioned in the hull with the turret equipped with an optronics subsystem. The commander’s panoramic surveillance and targeting sight allows independent target acquisition with its imagery shared across other positions. The driver has both a 180 degree field of view camera and rear-facing/side-facing cameras for all-around viewing. Mounted troops can share video from the vehicle’s optronics to gain a better understanding of the vehicle’s surroundings. The new AFV is to enter service in 2019 and will operate alongside the current ST Kinetics Bionix and Bionix-II tracked IFVs. 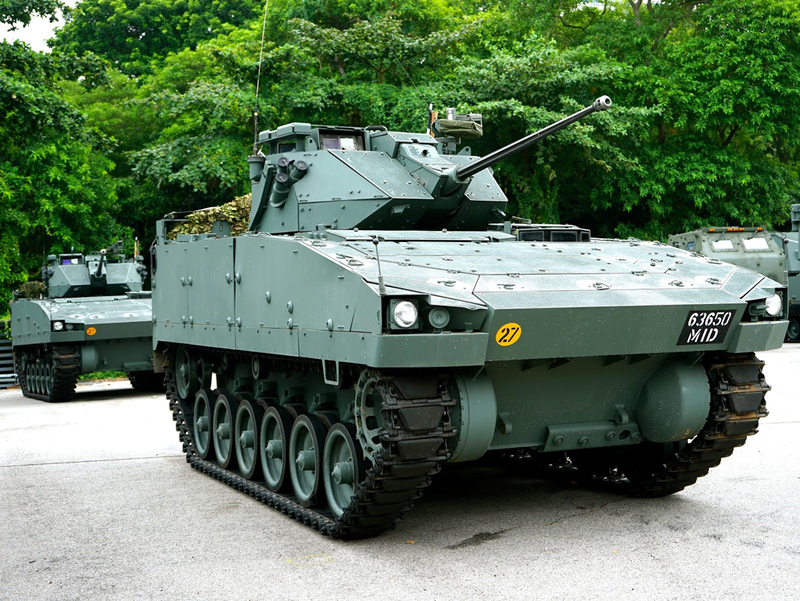 ST Kinetics is also the developer of the Terrex eight wheel drive ACV, the latest version of which, the AV81, is in service with the Singapore Army. The vehicle has a V-shaped hull, and a remote weapons station. It can accommodate twelve dismounts. 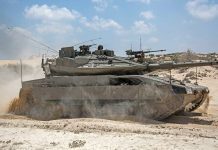 The firm’s Terrex-2, in cooperation with SAIC, has been offered to the US Marines for its Amphibious Combat Vehicle requirement where it is in competition with the BAE Systems/Iveco SuperAV design. 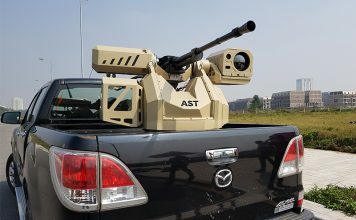 Singapore’s neighbour Malaysia has satisfied some of its ARV requirements domestically through DefTech, often manufactured in collaboration with foreign developers. Currently the firm is manufacturing the AV-8, an eight-wheel drive design based on FNSS’s Pars eight-wheel drive Pars ACV. The first production AV-8s were delivered in 2014 with planed total of 257 in as many as twelve different variants. The most numerous will be the IFV-30 and IFV-25 designs. The former is to be provided using two versions of the LCT-30 two-person turret; one with a 30mm cannon and 7.72mm machine gun, and a second which adds an Anti-Tank Guided Missile (ATGM) launched; both turrets are provided by Denel. A total of 58 and 54 of the cannon and ATGM versions are planned. The IFV-25, meanwhile, is amphibious and uses the FNSS Sharpshooter one-person turret with a M242 Bushmaster 25mm cannon with 46 to be fielded. Another 54 will carry a 12.7mm machine gun in a remote weapons station. In 2016 Malaysia received its first Chaiseri First Win, a four-wheel drive Mine-Resistant Ambush Protected (MRAP) vehicle. Originally developed in Thailand, this vehicle is equipping the Malaysian Army as the DefTech Lipan Bara. The platform carries eleven soldiers plus the driver and is primarily designed to be employed by security forces. In what appears to represent a continuing strategic shift towards the People’s Republic of China (PRC), April saw the Thai Army announce it was ordering 34 ZBL-09 eight-wheel drive APCs. The vehicle mounts a 30mm cannon and 7.62mm machine gun, and carry up to ten troops. The order is reportedly worth $58 million with deliveries expected by 2020. Furthermore, the force ordered Ukroboronprom BTR-3E eight wheel drive APCs from the Ukraine between 2006 and 2011, and is reported to possess around 233. The ZBL-09 and BTR3E are very similar in design so it is not clear if this indicates a shift from Ukraine as a supplier. In 2013 Thailand’s Defence Technology Institute (DTI) announced it had partnered with Ricardo to develop an eight-wheel drive vehicle called the Black Widow Spider. 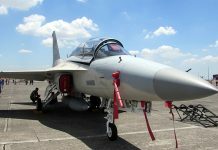 A prototype was even displayed at the 2015 Defence Security Asia exhibition in Bangkok. Since then a DTI spokesperson indicated that the vehicle has been undergoing technical evaluation including automotive, and blast and ballistic testing. Designed to accommodate a 30mm weapon and up to twelve soldiers it reportedly has land and water performance equivalent to other eight wheel drive ACVs. There are similarities to the Terrex vehicle (see above) which might be ascribed to technical support that ST Kinetics has suggested that it has provided to the DTI. No production decision or date for the new Thai vehicle has been made public. 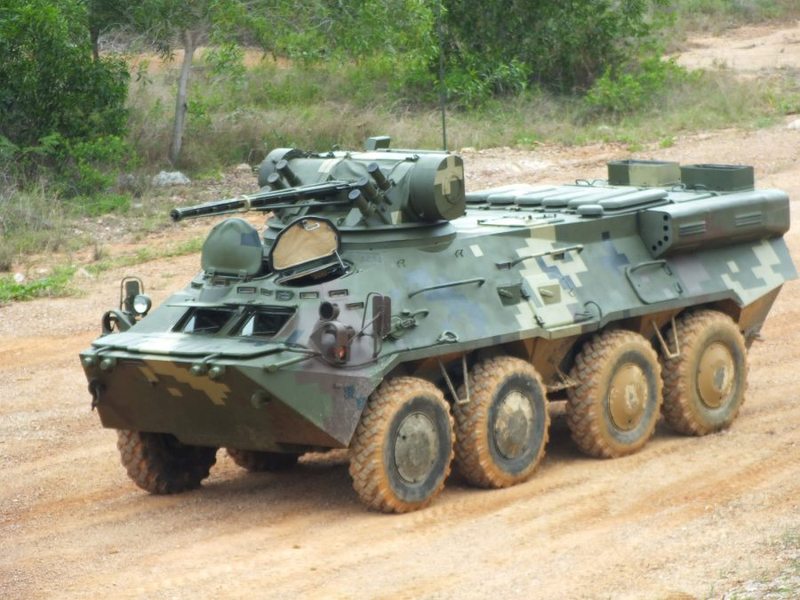 The Republic of China’s Ordnance Readiness Development Centre/Timoney Techology CM-32 wheeled ACV will replace the army’s ageing M-113 family APC fleet. It first entered service in 2007 with production continuing to fill a total requirement of 1400 vehicles. The vehicle can swim using water jets and holds eight dismounts and a crew of two with a remote weapons station equipped with a 12.7mm machine gun or 40mm automatic grenade launcher. Other versions have been introduced with a 30mm two-person turret, 120mm mortar carrier and 105mm cannon fire support vehicle. 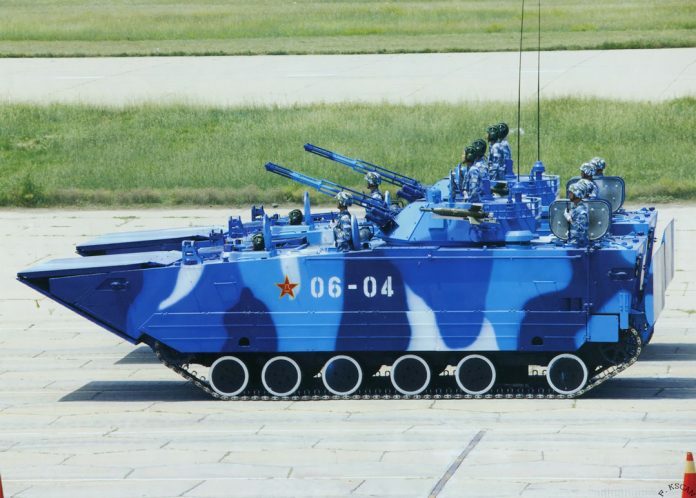 Finally, Vietnam’s People’s Army (VPA) recognizes its need to update its armoured forces. However, financial restrictions have required primarily focusing on upgrades and improvements to existing ACVs most of which were Soviet supplied. One of these which are still widely used, the BTR-152, recently was successfully tested with a number of automotive changes. These include replacing the petrol engine with diesel, upgrading the drive train and brakes and providing power assisted steering. Still, the GAZ BTR-60 eight-wheel drive APC family and Kurgan Engineering Works BMP-1 tracked IFV remain the majority of the VPAs ACV inventory. Their replacement is likely being deferred as the ground force priority appears to be replacing it’s 1960’s era main battle tanks. 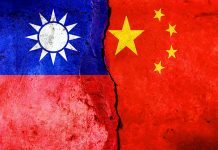 In addition, the Vietnamese Marines may be the first to receive any new ACVs as their amphibious assault capability is being viewed as critical in the maritime and territorial disputes that Vietnam maintains with the PRC. Vietnam could yet emerge as one of the potential markets for Russia’s BMA Military Industrial Complex’s ARAV four-wheel drive armoured vehicle. Designed for use as a reconnaissance vehicle, or to support special forces operations, the vehicle is protected against small arms fire. Armoured combat vehicles have gained greater attention within the armies of the Asia-Pacific. Increasingly procurement programmes there are involving local industry with such companies even leading development often in collaboration with international partners. That the world’s largest current ACV acquisition is occurring in the region with Australia’s Force 400 programme representative of this. As a result the armoured capabilities of many armies within this region is becoming increasingly comparable to those without.